Did you just relocate? Are you contemplating to relocate? Do you feel overwhelmed by the new cultural challenge after your recent move? Have you just returned to your home country only to find out it doesn’t feel like home anymore? Is your family stressed out by your recent relocation? Are you worried that acclimatization or integration into your international community is taking too long? Have the thrills of your recent move abroad given way to desolation? If you answered yes to any of these, welcome to the exhilarating, overwhelming, rewarding and challenging world of expatriation. Everything seems to change when you move to a new country – every day is different: full of adventure and discovery, excitement and anxiety. You start “having butterflies in your stomach” (the feeling every expatriate witnesses (at least once) in the course of his/her career – excitement mixed with apprehension and fear of the unknown: land, people, values and culture. The expat doubts his choice to expatriate, his capability to meet new professional expectations, fears that he might fail his family in the event of early termination of his contract. How to meet both private and professional responsibilities and maintain a healthy balance between them so that neglect from one doesn’t rub off on the other. How to find their bearing and make sense of the whole sensation running through you? This is where my services (Expat & Global Executive Coach) come in. I’ll help you align your private and professional lives as well as help you and your family tackle the different phases of emotion that surfaces during the installation and adaptation stages of expatriation. I’m professionally trained to keep your expatriation anxiety in check. I’ll tell you more about that and how I do it at a later stage. Expatriation is changing face. Gone are the days when expatriation was synonymous to diplomacy. The world has become a global village and many institutions, companies and organisations are taking advantage of this by investing beyond borders, their staffs too. Relocation has become part and parcel of the recruitment process and people are becoming curious and opening up to the world around them. Because Expatriates, Repatriates, International Professionals and their families find themselves in a peculiar way of life and are faced with a unique set of challenges due to their frequent international relocations, they need a particular mind-set and attitude to carry out their oversea moves. Finance, job availability and destination shouldn’t be the sole criteria, character and personality counts. You’ll need to anticipate and plan your departure and arrival. A ready list of actions to take like: cancellation of service subscriptions: phones, electricity, water; eventually subscribing mail forwarding service etc before leaving as this might encroach on your integration. Expatriates like every human being differ from one another. Family composition is an important component to consider during expatriation. The family needs and expectations of a single, couple without kids, and couple with kids can never be the same. Even among couples with kids; their needs and expectations differ according to the ages of their kids. I went on my first assignment as a newly-wed and then started having kids; as they grew, so did their requirements. For the purpose of this article, I’ll make general cases and you’re welcome to adapt the tips to suit your individual needs. Because we are a community of Expats, we’ll skip this. People expatriate for different reasons: greener pastures, service to humanity or philanthropy, desire to explore the world and so on. It is necessary to understand and always remember your reasons for expatriating because this will help you through stressful times. Life as an expatriate could be very daunting. You’re relocating to a foreign land with foreign language, culture and values and away from family and friends; a real cocktail for high level anxiety and stress. Your spouse (if you have one) is your best ally in this adventure; you’ll need each other’s understanding and support. For whatever reasons you embark on expatriation, proper planning (self-organisation and psychological preparation) is necessary to avoid failure, proper planning would make the experience life enriching and fun-packed. Certain personality traits like perseverance and determination (whether in-born or acquired), are also vital to successful expatriation. But if you intend to escape to a tropical island or country away from family, a disastrous relationship or bad weather or for any other reason for a while, then your best bet will be to take a vacation NOT to expatriate. Life as a tourist is very different from life as an expatriate. An expat needs to invest and immerse into the local culture among others, the locals need to see your commitment and efforts to belong. Single person expatriation is an easier decision to make because every consideration is about you and what you want or like. Couple: having the consent of your partner is necessary especially since he/she is the future stay at home accompanying spouse (an uneasy status) for a professionally active spouse. Family with kid(s) calls for a more serious reflection and negotiation for the good of all. It is advisable to involve everyone once you start contemplating expatriation; hear everyone’s views and address everyone’s fears. Do not ignore any worries. Was it a collective decision? A collective decision as well as the choice of destination goes better when deciding to expatriate, the trip is planned together and everyone’s expectations are taken into consideration. But when it comes as a surprise, the other party sometimes feels excluded and betrayed and the adventure starts on a wrong footing as there might be objection and resistance from that other partner. Knowing that you’re going to trade in your good job with a lot of responsibilities and recognition at home for a stay at home status (accompanying spouse) is delicate and demands serious reflection and adjustments. The success or none thereof of the experience largely depends on the willingness, personality and commitment of the spouse. Remember to check with your firm for the provision of an eventual assistance; you’ll need all the help you can muster. Also check out for possible employment opportunities for spouse. 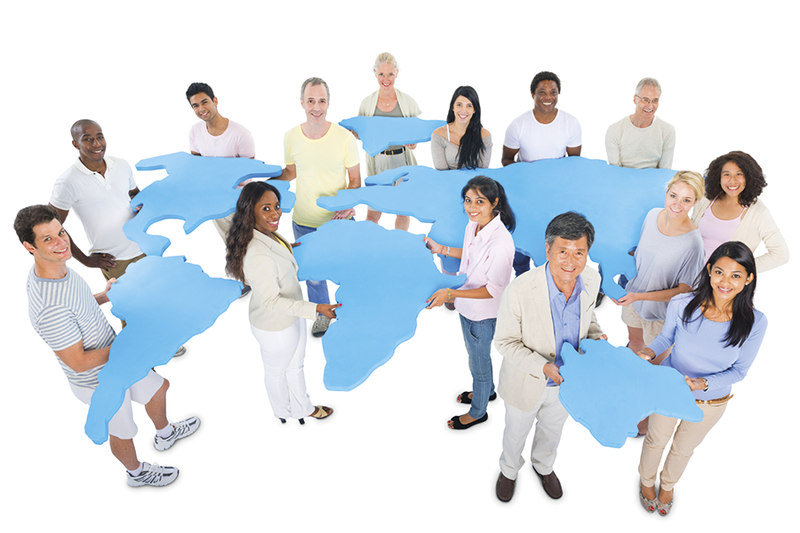 Although some locations are friendlier than others, an expat posting inevitably affects family relationships for better or worse: the new job and environment might permit the family to spend more time together thereby creating closeness OR it might take Expat away very often and this might create tension and the family may drift apart. This is why spouse support is paramount. You should not underestimate the pressure the assignment will put on your entire family. Arming yourself with background information on your chosen destination regarding its culture and value in order to reduce the culture-shock is also advisable. Instead of wishing that your family is capable of handling every situation, it’s much better to prepare to deal with any eventualities; a stitch in time saves nine. Informing yourself with “open mind” about your future place of abode, yet leaving enough space for on the spot-discovery and surprise is necessary and if you can visit before relocating, don’t hesitate. My next topic would be on the expat spouse popularly called “trailing partner or the accompanying spouse” and the roles they play. I look forward to your contributions and opinions. P.S. It is really important to understand the differences between an expatriate, an immigrant and a tourist in order to make a wise and calculated decision. The article “Who’s an expat and who’s an immigrant? (in Germany)”, might make a good reading. P.P.S. Any burning issues? Give it a shot. For help in living your dream expatriation either on one-on-one or group coaching sessions for all family members, skype or by email: info@linkcoaching.com.